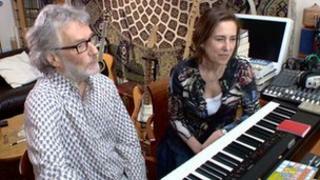 Media captionIn his last interview Scottish author Iain Banks told Kirsty Wark he was surprised by the level of reaction to his announcement that he has late stage cancer. 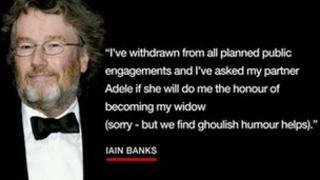 Best selling author Iain Banks has died shortly after announcing he had terminal cancer. The author of The Crow Road and The Wasp Factory revealed he was dying two months ago. Last month, in his only TV interview since the news, the 59-year-old spoke to the BBC's Kirsty Wark about his life and work. "It (my reaction) was along the lines of 'oh bugger'. It's one of these things I guess, in a sense, you rehearse in your head. You sort of game it, you play it, you think how would I feel, and how would I react if a loved one dies or is delivered of a verdict, a prognosis like that. If you're writing about people who are facing death, you automatically have to embody that, you have to take that in quite seriously. "And obviously there are professions that are very much involved with death; funeral directors, people in A&E, ambulance drivers, paramedics. You'll probably find a preponderance of people like that who are sort of pre-prepared, or as pre-prepared as you can be, with your reaction. "And I just took it as bad luck, basically. It did strike me almost immediately, my atheist sort of thing kicked in and I thought ha, if I was a God-botherer, I'd be thinking, why me God? What have I done to deserve this? And I thought at least I'm free of that, at least I can simply treat it as bad luck and get on with it." "When I first got the original bad news in the Victoria Hospital in Kirkcaldy, I'd taken my laptop in - I thought I might do a bit of work while I was there. And I couldn't really be bothered. I'd basically done my words for the day anyway. So, having got this news, I sat in bed and I wrote. 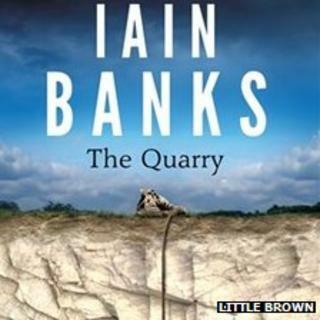 "There's a bit in the book [The Quarry] where the character Guy says I shall not be upset to leave this stupid bloody country and this bloody human race and this idiotic world and the rest of it, it's a proper rant. I remember sitting there and thinking you're a writer, you've got to use some of these feelings that you're having right now. Use it to go to town on the whole idea, so some of my darkest thoughts at that point were channelled into that bit of writing." "The narrator is an 18-year-old boy who's on one or two different spectra, possibly Asperger's being one of them. But in a sense, the main character's his dad, who's dying of cancer. "But I was 87,000 words into the book before I discovered the bad news. I had no inkling. So it wasn't as though this is a response to the disease or anything, the book had been kind of ready to go. And then 10,000 words from the end, as it turned out, I suddenly discovered that I had cancer. "I've really got to stop doing my research too late. This is such a bad idea." "A pal had this great idea for a website so people could express what they wanted to. I did say I'd read all of the posts, which I'm doing. I just read page 86, so only 100 and a bit to go. And it was astonishing. I'm still only on day two, after the announcement. Because, obviously in this situation, you're constantly trying to find the positives, few and far between though they are. "But one positive that did strike me, I'm getting all this love and admiration now, rather than people standing around talking about me awfully well when I'm dead, at the wake or that sort of thing. So it's been great to appreciate that now, while I'm still alive." "I've had a brilliant life and I think I've been more lucky than unlucky, even including the news of the cancer. I've written 29 books. I'm leaving a substantial body of work behind me. Whether that'll survive, who knows, but I can be quite proud of that and I am. There's none of the books that I'm not proud of. There's ones that I think I could have done better with. 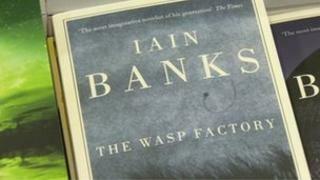 I still think Canal Dreams is the runt of the litter but I'm still very, very proud of The Wasp Factory. "I don't have many regrets in my life. I suppose like a lot of men I've hurt women when I was being selfish or there's a real hurt towards ex-girlfriends that probably didn't need to have happened. That's probably the greatest series of regrets in my life. But other than that, and certainly professionally, not really, no." "I've thought about it, I guess it would just be the local crematorium. Adele has then promised to scatter my ashes in the Grand Canal in Venice, just a small amount, but in secret if necessary. And in front of a certain café in Paris, put some into a rocket to be fired over the Forth, again quite a small amount. And, oh yeah, some onto a beach on Barra - Vatersay, or wherever. But not too much in any. Most of them actually remain in the urn and will be sunk where my dad's ashes are sunk, in Loch Shiel." "There's an enormous freedom that you get in science fiction, you can just go anywhere and do anything. It's that simple. The things that I love and things that I tend to read most are science fiction and mainstream literature, and those are what I love to write as well. And it's been a privilege to be able to get away with it for an entire career, be able to do both." "I'm thinking the solace is going to come because I write music. I've pretentions towards being a composer. And that's what I intend to spend most of my creative energies on in the next couple of months or however long I've got, writing music and trying to get it to some level of presentability so that should be, you know, accessible." "I can only really do one at a time. So now that that's it, basically, with the writing, I can devote myself more to this. And even if no one ever hears it or no-one ever enjoys it, it'll be fun for me. It will be genuinely therapeutic. I just have such a hoot with this." Iain Banks: Raw Spirit will be broadcast on BBC2 Scotland on Wednesday 12 June at 21:00, and for a week afterwards on the BBC iPlayer.